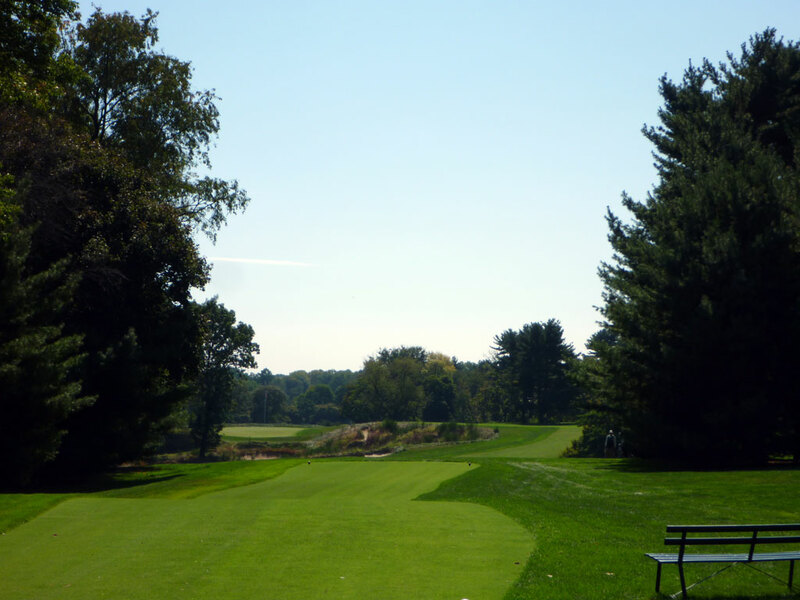 Course Website: Official Website - Visit Merion Golf Club (East)'s official website by clicking on the link provided. Accolades: Ranked 2nd in Pennsylvania on Golf Course Gurus' Best in State list. 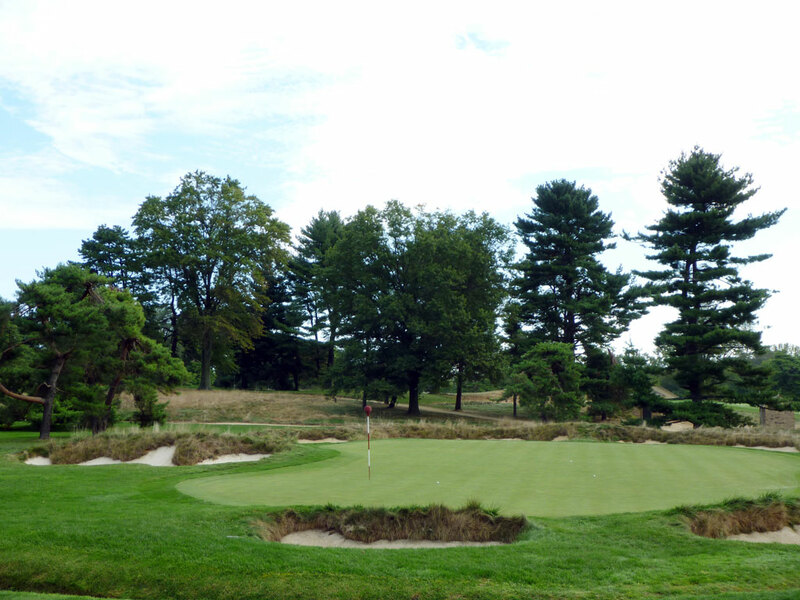 What to Expect: Merion (East) is the best course per acre on the planet, period. The Hugh Wilson layout is impressive by virtually anyone's standards, but it is a masterpiece when you consider the course sits on less than 120 acres. Though restricted in available acreage, the course doesn't feel short and delivers one of the most challenging experiences in America. 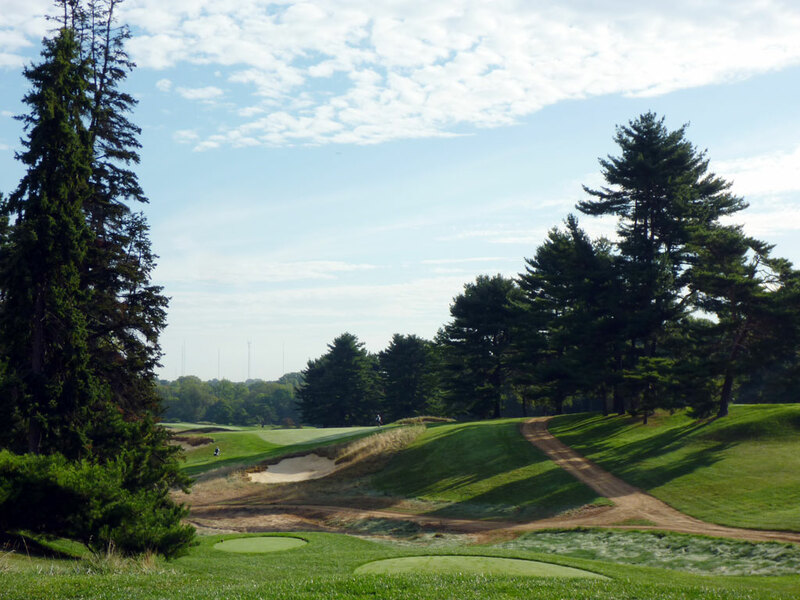 Famously known as the "white faces," the bunkers at Merion were the first to have raised lips on the back side of the bunker so that the bunkers appear to be looking back at the golfer. The greenside bunkers have deep, elevated lips next to the putting surface as they have built up over time from sand flying out of bunker and onto the lip. The club is walking-only and completing your round in the four hour the pace of play guideline isn't a suggestion, it's a self-enforced requirement. One factor that helps with the pace of play requirement is the equally stern enforcement of players never taking a mulligan - another Merion dedication to the roots and honors of the game. One additional feature at Merion that you won't find virtually anywhere are wicker baskets on the top of flag sticks rather than flags. The baskets are colored red on the front nine, orange on the back nine, and give no indication on what direction the wind is blowing. 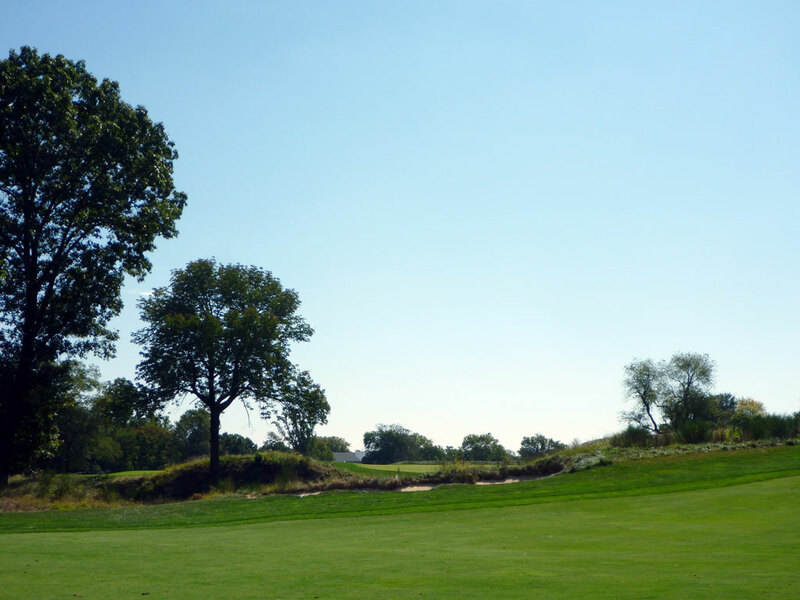 The club oozes with history having hosted a USGA tournament in every decade since its been open and will continue this tradition as host of the 2013 U.S. Open. The clubhouse, adorned with championship trophies and the country's most impressive archive room, sits just a couple of paces from the first tee where patrons can sit on the patio and watch player's opening tee shots. As you would expect from one of the finest courses in the world, there isn't a bad hole to be found on the property and the elevation changes throughout the course deliver excellent variety and enjoyment. 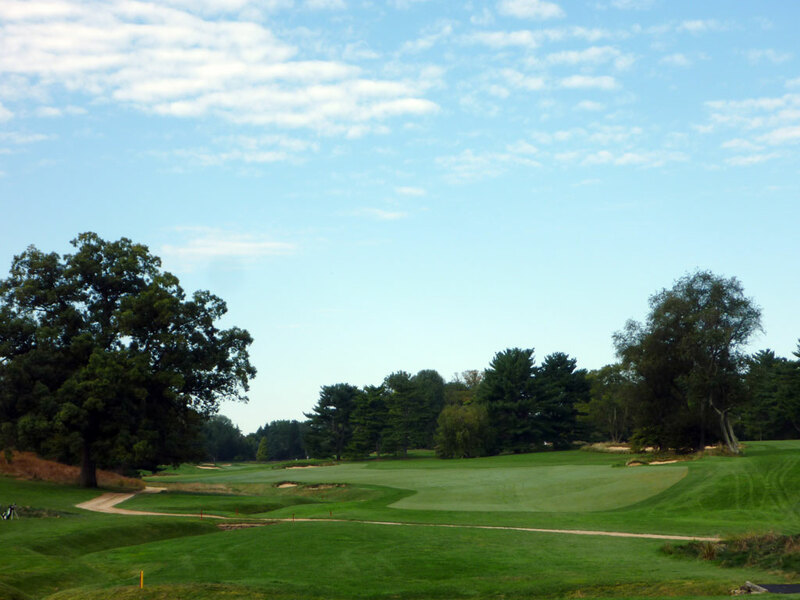 In the end, I love Merion; it's intimate, attractive, and pure - simply perfect golf. Signature Hole: 17th Hole – 220 Yard Par 3 – If it is difficult to identify a signature hole at a course it generally means one of two things; either the course is so plain that nothing stands out, or that the course is so good that it is nearly impossible to isolate just one hole. In Merion's case, the latter holds true. In fact, not only is it difficult to identify the signature hole but it is equally difficult to isolate a bad hole at Merion - it is that good from start to finish. While some will claim the 18th at Merion as its signature hole due to the 1-iron approach shot Ben Hogan hit, I like to look more at the traits of the hole rather than the history. The 17th hole at Merion is a long one-shotter that plays to a tiered green and features a pronounced slope at the front of the putting surface. 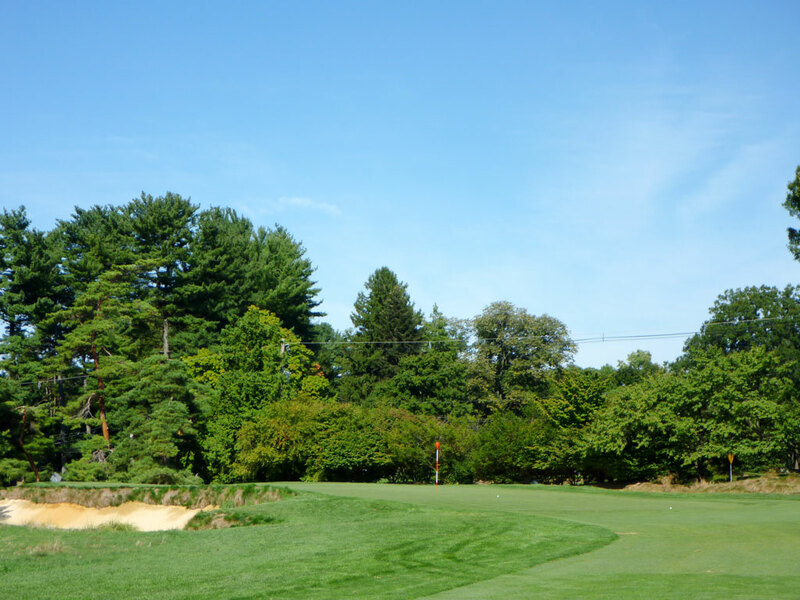 With nowhere to feel safe bailing out to, this hole epitomizes what Merion is all about; shot-making. 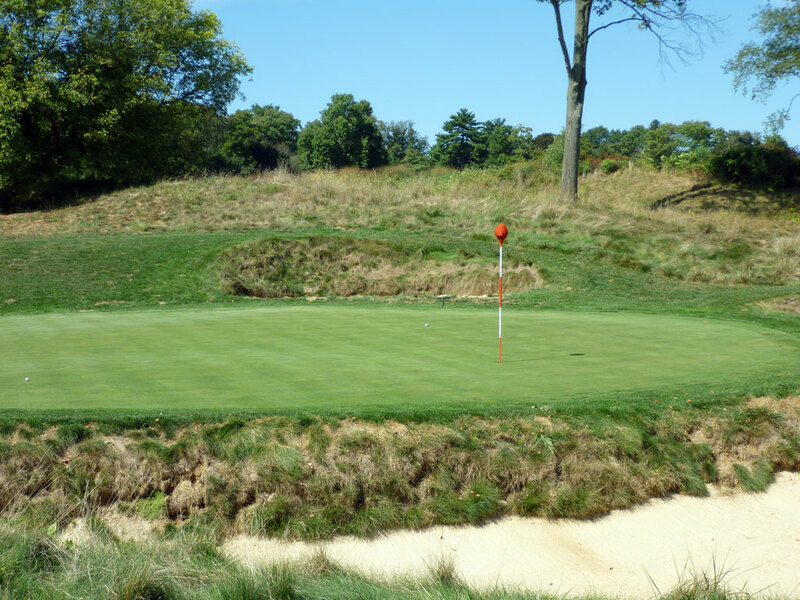 Best Par 3: 3rd Hole – 181 Yards – The 3rd hole at Merion employs my favorite design style for a par three; Redan. One thing that sets this hole apart from the other Redan inspired holes is the fact that it plays slightly uphill, a rare and envied feature. This impressive hole is the beginning of a demanding par 3-5-4 stretch that will quickly identify the quality of game a golfer brought to the course that day. 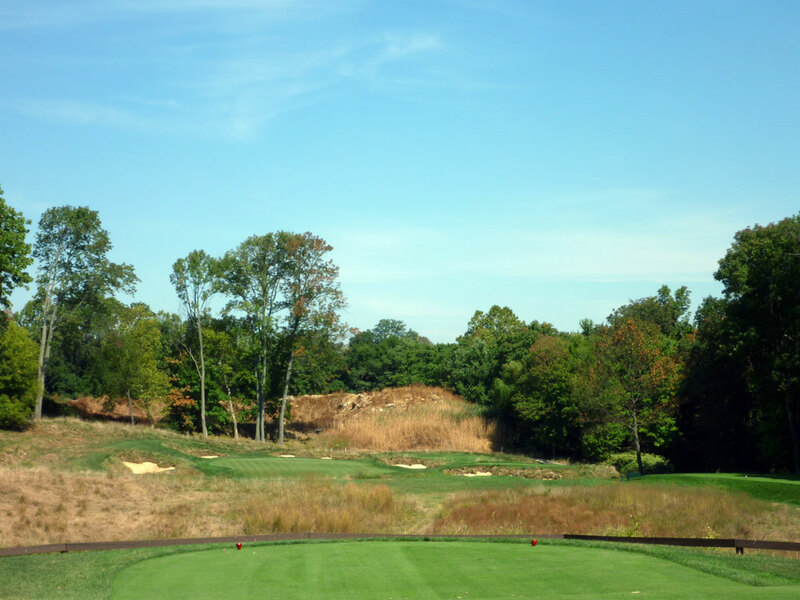 Best Par 4: 16th Hole – 428 Yards – This remarkable two-shotter is arguably Merion's most memorable hole and introduces the golfer to the old limestone quarry that previously existed on site. From the tee, the golfer may assume the hole doglegs right since the fairway fades that way and disappears out of sight behind some trees. However, the hole actually doglegs to the left and affords the player two options; fly your approach shot uphill and over the quarry to the green or bail out to the right where the fairway wraps along the quarry edge. Anything on green grass is manageable; anything in the quarry is death. Most of the bunkers at Merion you want nothing to do with. However, if your approach shot is caught by a bunker before cascading into the quarry below, you will happily ask your caddy to pull out your sand wedge. This hole is truly one of my favorite par fours in all of golf. 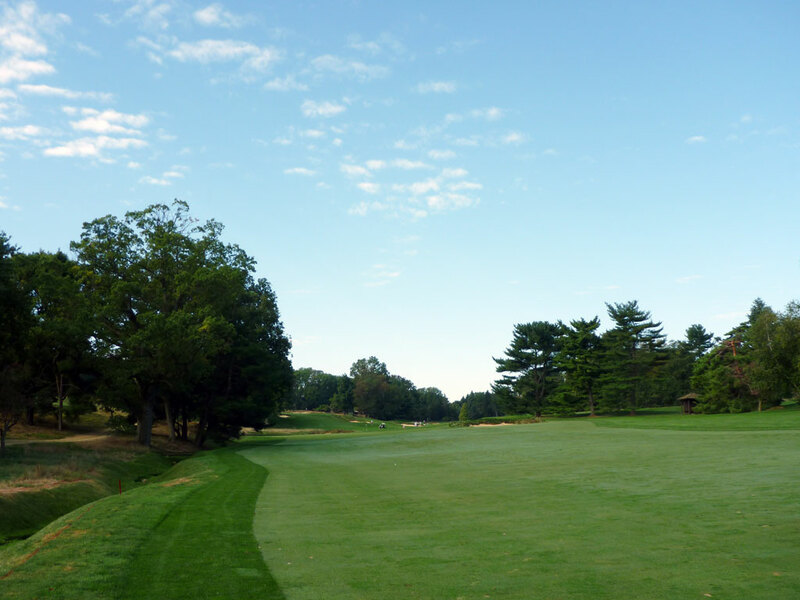 Best Par 5: 4th Hole – 600 Yards – Merion (East) is the only regulation length course I know of that features at least two par fives with the final par five of the day coming as the 4th hole. 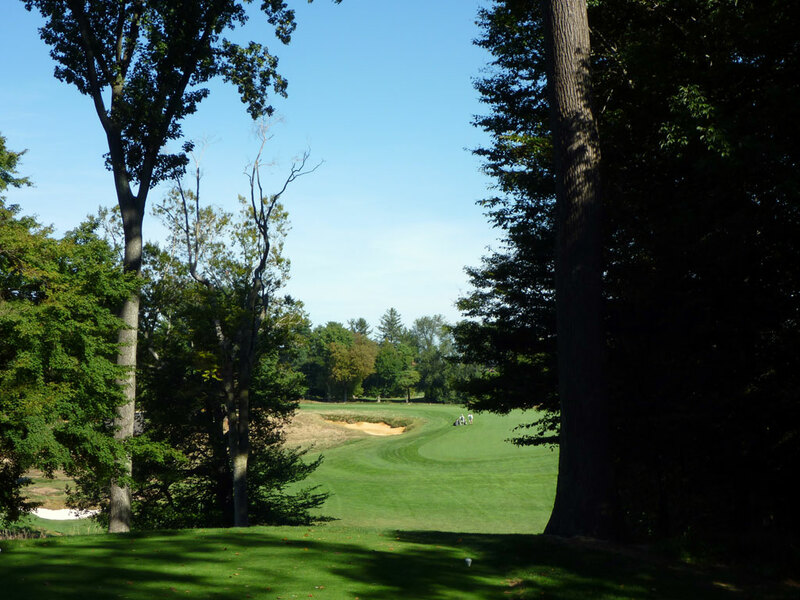 While that is an unconventional feature compared to most golf courses, golfers at Merion won't be disappointed with the quality that is offered. The longest hole on the course at 600 yards, the 4th hole at Merion's East course begins with a mostly blind tee shot that plays uphill to an undulated fairway. From there the hole begins to play downhill and features a large, jagged pie-piece shaped bunker just over 200 yards from the green that nearly covers the entire width of the fairway at its furthest point. 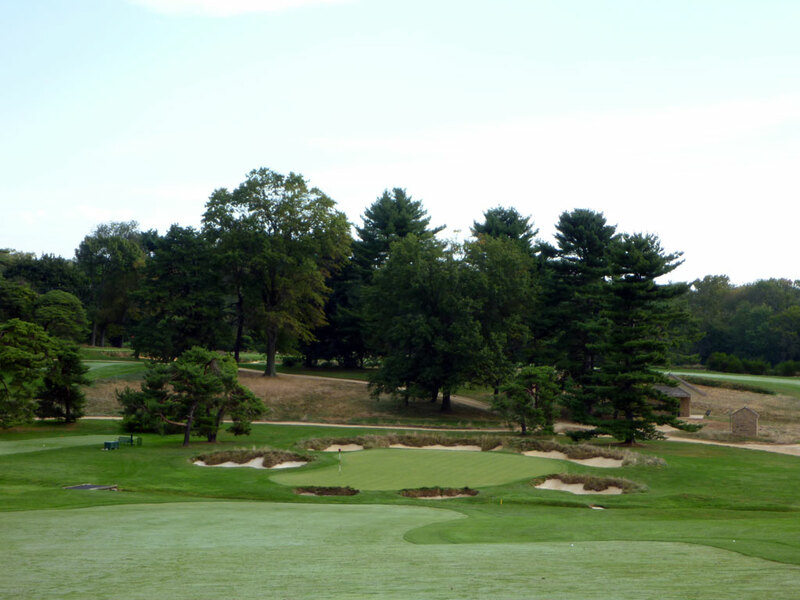 The green is fronted by a water stream and encircled by seven bunkers that epitomize the "white faces of Merion" nickname. It is a wonderful hole from tee to green that few golfers have the skill, length, or courage to attack in two. 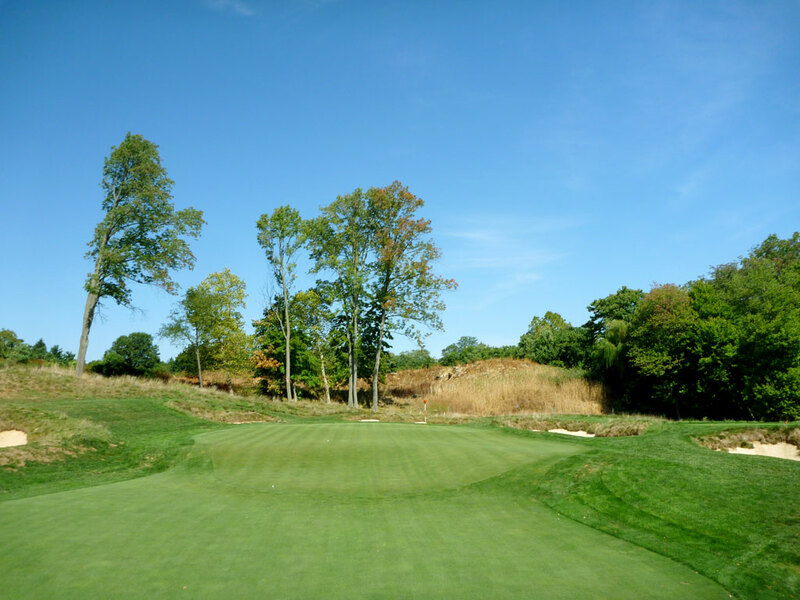 Birdie Time: 10th Hole – 310 Yard Par 4 – Rated as the easiest par four at Merion, this 310 yard beauty affords the golfer a chance to take a rip at the green. The tee is tucked back into a chute of trees that frame the bunker protecting the left side of the fairway. 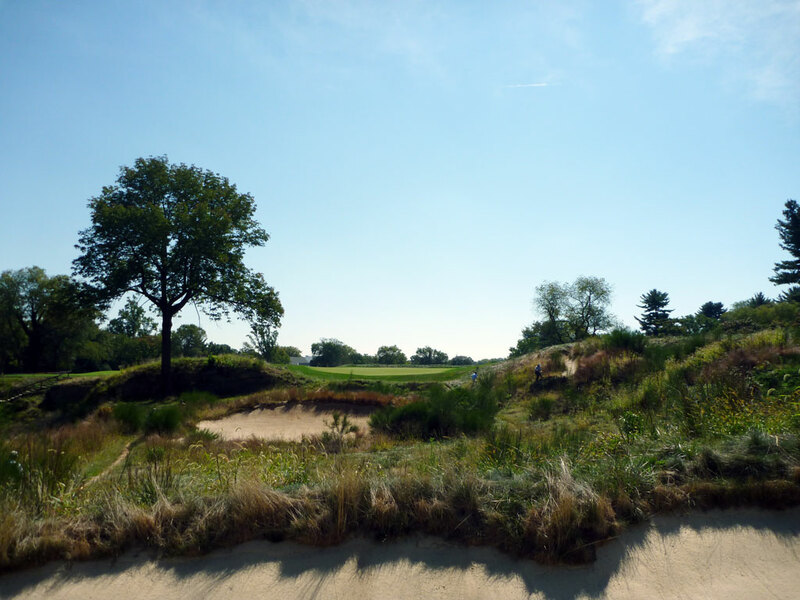 Most golfers will play to the right of that bunker where more fairway exists than can be viewed from the back tee box. I mistakenly pulled my tee shot a bit from the line our gracious host advised me to take and wound up on the green. Our host turned back and looked at me with a look on his face that seemed to say, "OK kid, let's see you pull that shot off twice in a row." But before he could verbalize what I am sure he was thinking, I quickly grabbed my tee and scampered off to my ball. Once at the green you will find a pronounced tier in the putting surface that provides some additional teeth to this well appointed green. 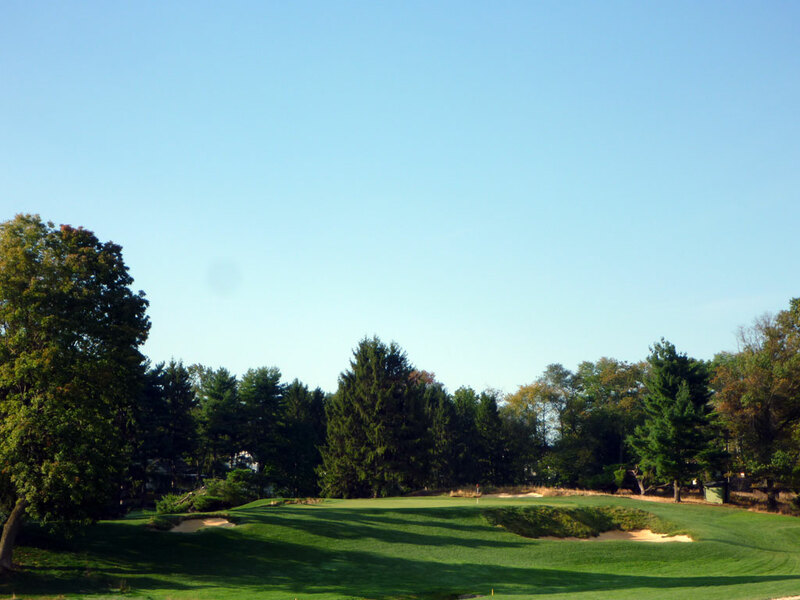 Bogey Beware: 5th Hole – 418 Yard Par 4 – Merion will test your accuracy all day long, but at the 5th hole it will put your flat stick to the ultimate test. 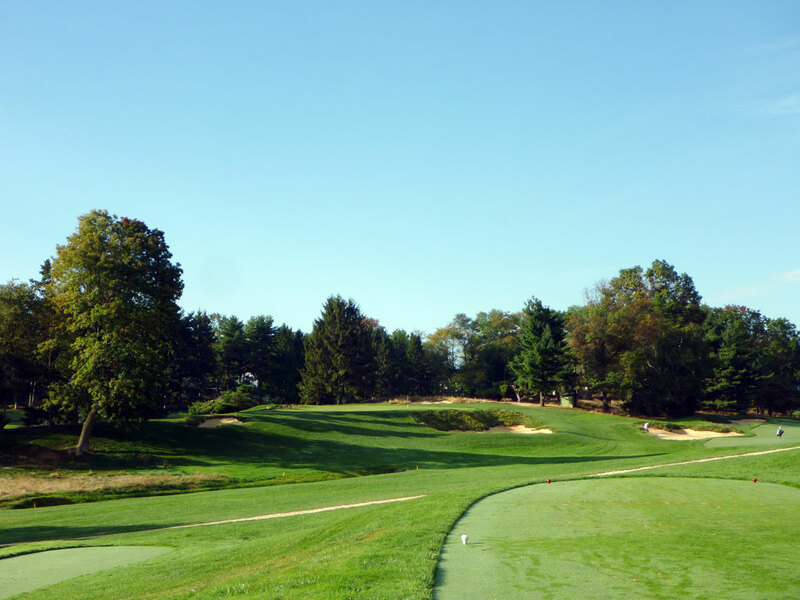 Relatively long by Merion's standard at 418 yards, distance is the last of your concerns at this hole worthy of its distinction as the #1 handicap rated hole. The fairway slopes strongly from right to left and thus funneling balls toward the hazard along the left side of the hole. If you are fortunate enough to find the fairway, you will be left with an approach shot where the ball is above your feet and you are trying to attack a green that slopes severely from right to left. Getting close to a pin location on the right side of the green is extremely difficult; two-putting is even tougher. When this green is firmed up and dry, some golfers may feel that the slope in this green would make the hole unplayable.